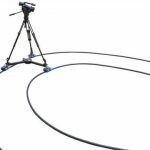 The PROAIM curved dolly track system is a 180-degree semi circle at an internal distance of 14.2 feet. The track is made of aluminium and is silver anodized. The track set comes with track feet and stoppers that makes it more stable and delivers thereby smooth videos. The track breaks down into several sections, and is therefore easy to assemble and takes only few minutes. 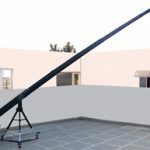 Use our 22ft Telescopic Camera Jib to increase production value for various sports competitions, races, concerts, corporate events and meetings, television commercials, political debates and sales and marketing productions. The length and height of the octagonal crane allows the camera to reach areas that would be impossible to get by any other means resulting in unusual angles and unique perspectives. It provides you the edge that sets you and your production apart in the professional market. High Impact Protective Packing for Carrying, Transporting and Storing your Valuable Equipment – absolutely FREE with this Product. 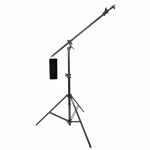 Add style and cinematic flare to any video production or movie with Proaim swift dolly “Quality Camera Dolly System That Won’t Break Your Budget!”Lightweight, portable, sturdy and travel friendly, easily fits your shooting needs and your filming budget. Mount any DV HDV or DSLR and get amazing ultra-smooth professional results effortlessly. Our PROAIM Supreme 4-Leg Portable Dolly with 12ft Straight Dolly Track and Bazookais here to make sure your videos don’t come with a side effect of nausea.Smartly designed wheels resemble those of inline skates, and high-quality ball bearings ensure that your dynamic shots are carried off smoothly – without a hitch. Accomplish taking stunning videos with our PROAIM Supreme 4-Leg Portable Dolly with 12ft Straight Dolly Track and Bazooka quickly, easily, and affordably – and you can haul it on your own! 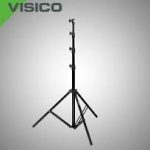 This light stand offers a balance between height and price point and extends to a height of 9.25 feet with a load capacity of 3.5 Kilograms making this one of the most sturdy lightstands in its price range.